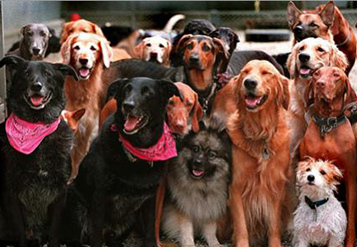 We charge an extra $15 per dog per night if your dog(s) are not able to sleep in a crate and require staying in a room. A 5% discount will be applied for an extended stay more than 15 days. In addition to our dog day care, K9 Korral provides a safe and loving place for your pet to stay while you’re away. 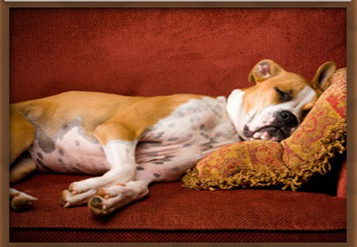 For the well-being of your pets, the Korral also is staffed 24 hours a day. You may wonder why we don’t offer different packages with additional play time, potty breaks or Hug and Kiss sessions. At the K9 Korral, everything is included in the flat fee of $35.00 a night. Your dog will get everything they need during their stay. They will play in daycare as long as they desire and will be loved by us while you are away. We must have a completed online registration form for all dogs staying at K9 Korral. Because dogs have a tendency to get an upset stomach with food changes, we require that you bring your dog’s regular food to eat during their stay. If you feed dry food: please put each meal in an individual Ziploc baggie labeled with your dog’s name so there is no confusion about what food to feed. If you feed canned / frozen food: Please write your dog’s name on each can/bag with the amount of food they need at each feeding. Special diets (veggies, fresh meat, etc): We are happy to continue any special diet your dog is on during his stay at the K9 Korral. Every dog that boards at the K9 Korral must be current on their vaccinations and flea prevention. (Bordetella: Every 6 month, Rabies, DHPP: 1 year) Please bring in a current copy of their vaccinations. Please bring any medicines in their original containers. You may want to bring a piece of your clothing for your dog to have while you are away. That way they will have your scent with them. There is no need to bring bedding or toys. Dogs will wear a collar at all times without dog tags ( no name, pet link, rabies etc) We only allow break away/snap collars ( no Martingale, choke etc). Monday- Friday: Before 11 am or a day care charge of ($19.00 – $25.00) will be charged if you pick up your dog after 11 am. Arrangements can be made for a pick up outside of regular hours. A $10 charge will be applied for a special pick up.